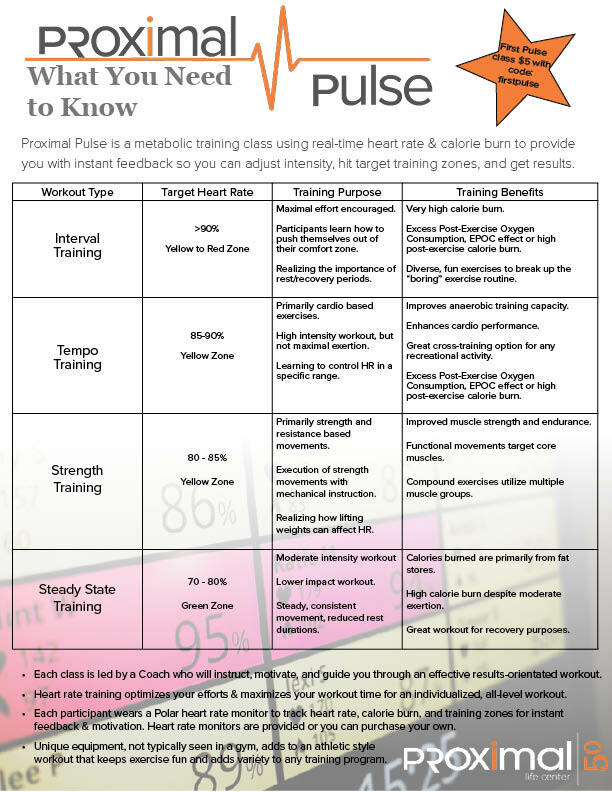 Proximal Pulse is a metabolic training class using real-time heart rate & calorie burn to provide you and your coach with real-time feedback to adjust intensity and hit target training zones! Bust through training plateaus, improve your fitness, and challenge your limits. All fitness levels welcome – you adjust the workout based on your heart rate. 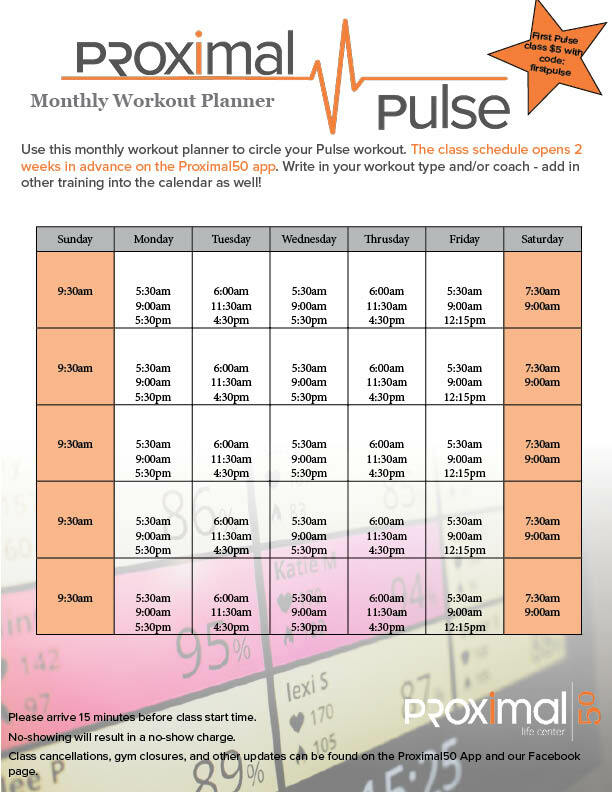 Each class is led by a Coach who will instruct, motivate, and guide you through an effective results-orientated workout. Heart rate training optimizes your efforts & maximizes your workout time for an individualized, all-level workout. Each participant wears a Polar heart rate monitor to track heart rate, calorie burn, and training zones for instant feedback & motivation. Heart rate monitors are provided or you can purchase your own. There are four different types of workouts: Interval, Tempo, Strength, and Steady State. Each workout has a specific training purpose & benefit. Unique equipment, not typically seen in a gym, adds to an athletic style workout that keeps exercise fun and adds variety to any training program.